We're delighted to welcome the exciting emerging period-instrument ensemble Improviso to Acton Hill Church, in a distinctive program of baroque and baroque-inspired improvisation. 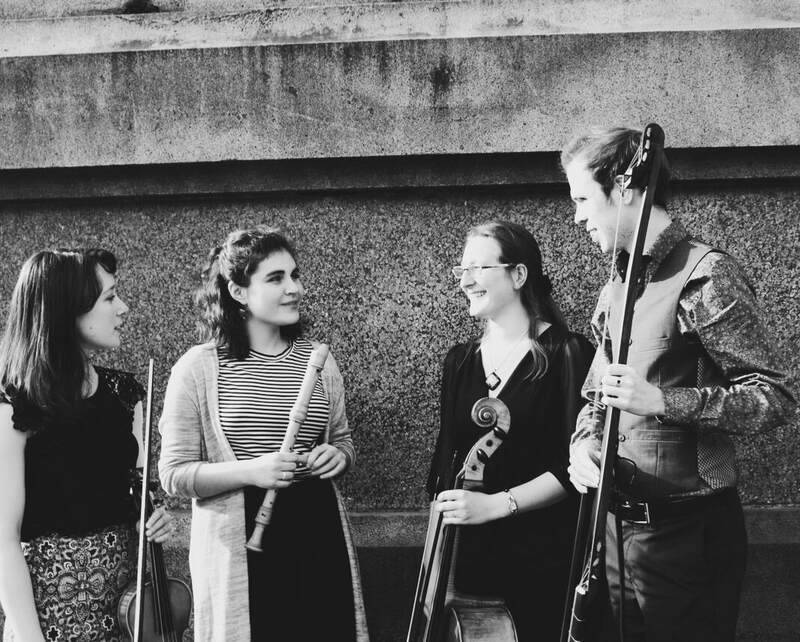 "They're like the Elizabethan rock'n'roll"
Improviso is an exciting and versatile young ensemble who met at the Royal College of Music in London. They explore historically informed improvisation alongside performing chamber music of the seventeenth and eighteenth centuries. In September 2017 Improviso won a place on the prestigious EEEmerging scheme 2018 (Emerging European Ensembles), and are also proud to have been selected for the Brighton Early Music Festival young artists scheme and the Live Music Now scheme. They have just completed a year as one of Wigmore Hall's Chamber Tots Ensembles-in-Residence. "A baroque feast ... they're so good they have halos"